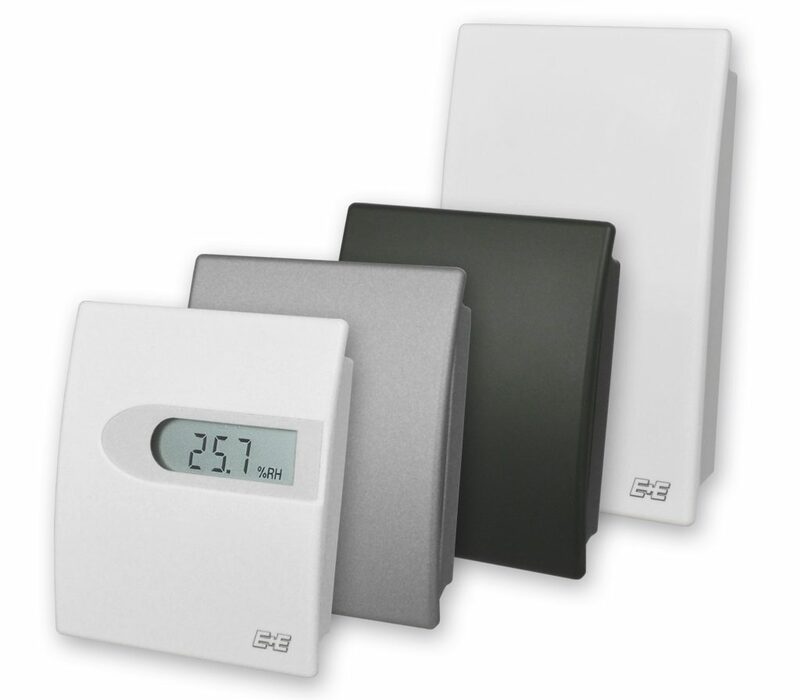 EE10 is a high accuracy, long term stable humidity and temperature room transmitter designed for HVAC applications in residential and commercial buildings. 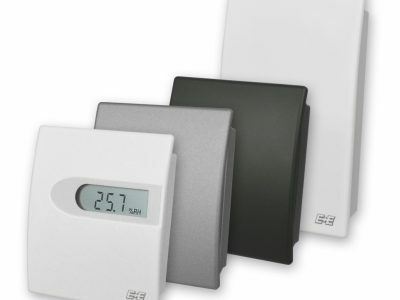 The very stylish, functional housing is available in European and US size and features an optional display. The snap-in enclosure allows for easy installation; the replacement of the active part of the device for service purposes can be done without any tools within seconds. The humidity and temperature measured values are available on two 4 – 20mA or 0 – 10V outputs. EE10 is also available with passive temperature output.